Happy Friday! This week’s Freebie Friday is a milestone for me. Can you believe it? I have been offering a Freebie Friday for exactly a year. That is 52 freebies all on one site. I am absolutely in love with the planner community and very proud to be a part of it. I have met some awesome people on my planner journey and I know that I could not have made my vision come true if it wasn’t for all of my website subscribers, members of my FB Group, followers on my social media and the support I receive. I had to make this week’s Freebie Friday something special that we can all relate to. 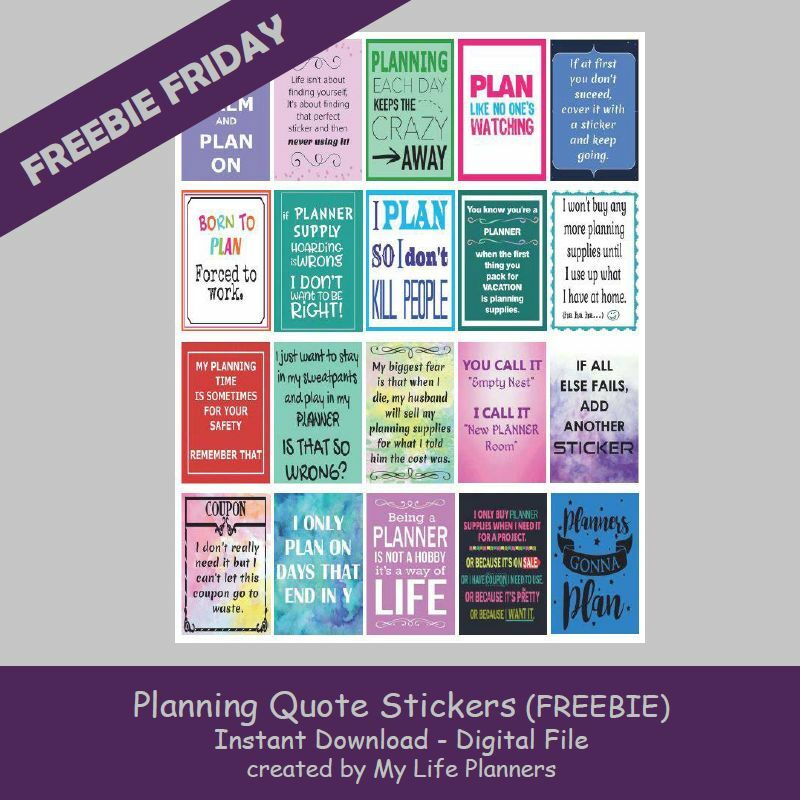 This week’s feature for Freebie Friday is Planning Quotes. I think everyone will be able to see themselves in at least one of the quotes.